Home » Do You Love Veggies? 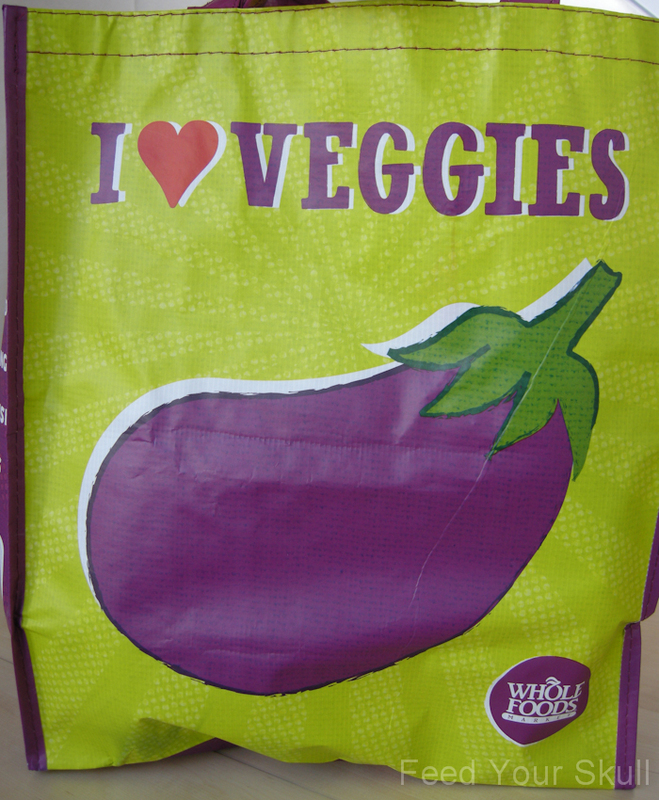 We’ve been using 2 of these bags when grocery shopping since the end of October. Did I mention they were FREE? It was an ‘early bird gets the worm’ sort of deal. It all started in September with a livingsocial deal for Whole Foods. The deal was a $20 coupon for only $10. Jeremy read that our local Whole Foods was going to have their grand reopening the end of October, so we held out on using our coupon, hoping there would be special deals that day. Then I did a little research and found on their website that the first 100 customers would receive a free goodie bag! This meant getting up early on a Sunday, because they open at 7 am. Was it worth it? Yes. And as you know from the bag it all worked out and the store looked great! It was fun seeing the employees dressed in costumes and loving life so early in the morning. 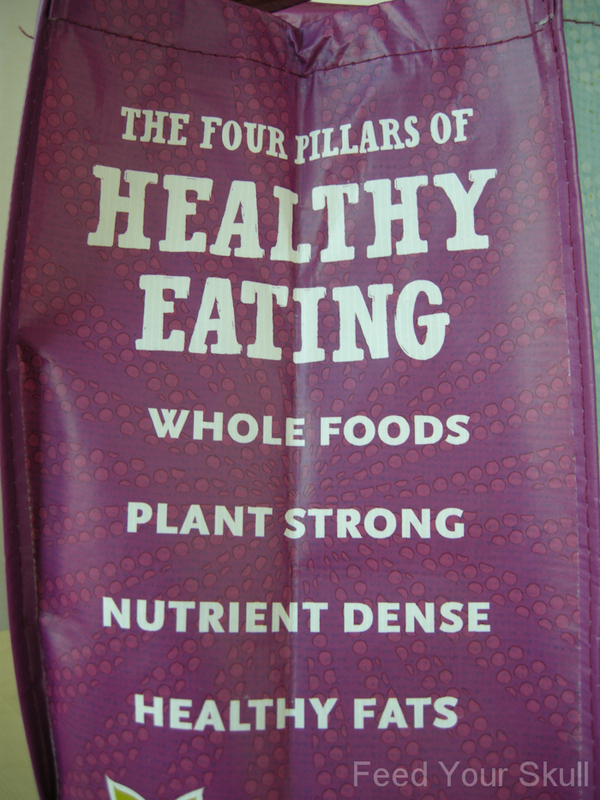 Our bags included a calendar that supports The Whole Planet Foundation, KIND Almond & Coconut bar (delicious! ), store made tater chips, and some yummy Rishi Pu-erh Ginger tea. Do you bring your own bags to shop? 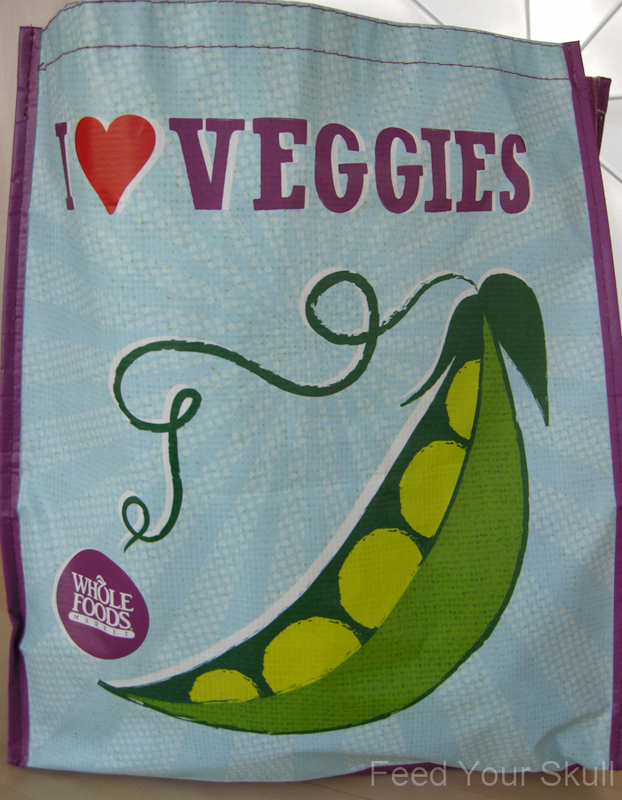 We do and many stores in Portland offer an incentive of .05 to .10 cents off your purchase for each bag you bring in.